Do You Have Any Tips for Vocal Improvements? As a soon-to-be music major, I am ALWAYS, always, always looking for anything that will help me improve. Now, you say that sleep helps the voice, and it makes perfect sense, but what do you do when you just can’t sleep? 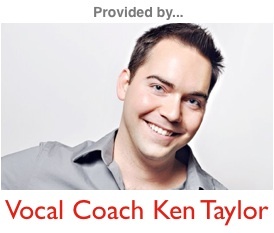 And do you have any other ideas for vocal improvement??? Yep, on my Singing Tips Blog I list the importance of sleep for singing. Thanks for finding me there. If you can’t sleep, then there’s really not a whole lot you can do about it. I would have argued my freshman year that I didn’t have time to get good sleep, but I didn’t really make it a priority either. Once I decided sleep was that important to my voice, I decided to schedule my life around it to an extent (sound silly I know, but it worked). Once I did this, my sleeping habits got much more consistent. Side note… if you suffer from insomnia, I really don’t know what to tell you. Perhaps consult your doctor? Beyond all of that, there are a ton of different things that you can do to improve your voice. One of the things I suggest is get around people that are just as interested as you are, if not more so. We always grow by being around people that are more talented than we are, because we pick up their methods for success. This is something talked about in the book “The Talent Code” (which would be a great read for a soon-to-be music major ;-). You can also join our Facebook Community Page and read the posts, questions, and answers. Immerse yourself in this singing stuff… don’t just learn about it from a logical level, play with what you’ve learned and see what works for you and what doesn’t. Then, and this is a piece of advice that I think has the potential to help you tremendously, share what you’ve learn with others. Answer people’s singing questions. One of the best ways to learn is to teach, because you have to understand what you’re teaching on such a deep level that you can explain it in various different ways (I know I’ve gotten infinitely better since I’ve started teaching). Anyway, I hope this helps and best of luck to you along your vocal journey!